Monday morning bright and early. ALA announced the youth Media Awards. I was at ALA so I was up early and part of the crowd there to hear the annoucements live! Of course, my predictions were pretty much wrong, which is part of the fun! I'm sure if you follow kidlit and YA, you've already read about the winners, but I wanted to share my thoughts and hear yours! 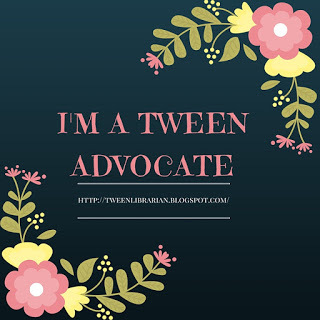 -I have not read this book and honestly, it wasn't really on my radar before the Newbery. Of course I'm on hold for it now at my library! If you're read it, I'd love to know what you thought! -Inside Out and Back Again by Thannhha Lai-I've read this one and I really liked it a lot! I also really love seeing award love for verse novels! -Breaking Stalin's Nose by Euguene Yelchin-Another one I'd heard of but was hardly on my radar. -I'm a big dog lover, so of course this book made me have an awww moment at the end. It's so adorable! But can I share something? I don't know if I think the artwork in this book is my favorite. It's very good, but there was something a bit blurry to me. I still adore the book and I'm happy to see it honored, I just don't know that it would have been my pick, which is one of the fun parts about these awards-you never know! -Blackout by John Rocco-This one I predicted and I'm so, so happy it got an honor! I love the artwork-it's just beautiful!! -Grandpa Green by Lane Smith-Another book that I think has expectional artwork-I'm happy with this pick as well! -Me...Jane by Patrick McDonald-Can you believe I haven't read this one yet? We recently got it in at my library, so I'll be reading it soon!! -I actually read this book over Christmas but haven't reviewed it yet on the blog. I wish I had reviewed it sooner-now I'll feel like I'm jumping on the review bandwagon! This is a book that has so many brilliant storylines that feel like there's no way they can connect and yet somehow they do. It's masterfully done and I'm so excited to see what's next from John Corey Whaley! I'm also thrilled he not only won the Printz Award, but won the Morris Award as well! He was at ALA for the Morris reception and it was so cool to be able to congraulate him in person. I'm fully expecting John Corey Whaley to be the next big rock star author in YA! I'm also thrilled that Heart and Soul by Kadir Nelson got illustrator love with a Coretta Scott King illustrator honor, but author love with a Coretta Scott King author win. And I love, love, love the illustrator win for Underground by Shane Evans! I also love that Wonderstruck by Brian Selznick was a Schneider Family Book Award winner! And I also am very happy for Under the Mesquite by Guadalupe Garcia McCall, which was a Morris finalist and the Pure Belpre author winner! What were favorite award winners? Any moments of disappointment:? I read Dead End in Norvelt and remember wondering who the correct audience for this book would be. My review is here. I think this is one, like many Newbery award books, that will be appreciated by adults rather than children. So many books I missed this year. Rich reading ahead. I was thrilled for Wonderstruck, too. My boys and I are reading it together (after finishing Hugo). They're at the age where finding a read aloud we all agree on isn't easy, so I'm especially grateful for Brian's amazing story-telling skills. 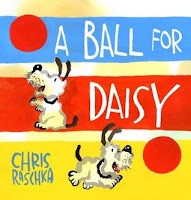 A Ball For Daisy was not a favorite for me. I didn't really like the squiggly/blurry quality of it myself. But I LOVED Blackout and I'm so pleased it got an Honor. I thought there were so many surprises! The only Printz book I'd read was The Scorpio Races, and it was fantastic. I honestly don't know that I'm super interested in reading Where Things Come Back... but if I see it at the library I'll pick it up for sure. I was just SO disappointed that Between Shades of Gray wasn't even an Honor book. Ruta Sepetys made my reading-year and deserves some love!! You must read "Me...Jane." it is a lovely story and the pictures are wonderful. It was my pick for the medal...so glad it won an honor. I've not read Jack Gantos' new book yet, either, but I will. I love to read the new Newberries each year. Shelly, I'm reading Breadcrumbs right now. Wow. Ah, I have a soft spot for Okay For Now and wish it had gotten a bit more recognition. Kathy-So many award books end up that way it seems. Caroline-I love Brian Selznick's mix of wordless pictures and text and I love sharing them with readers! I still need to see the Hugo movie. Sarah-Agreed-it seemed blurry, but the story was good. I adore Blackout! 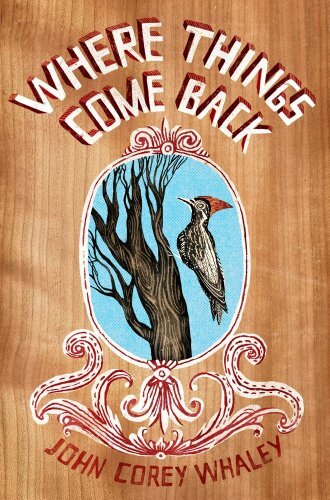 Katie-I enjoyed Where Things Come Back-it's a unique book! I've had so many teens rave about Scorpio Races! I also really enjoyed Between Shades of Grey. Storyqueen-I just finished Breadcrumbs! It reminded me a lot of the TV show Once Upon a Time with the mixing of fairy tales. Melissa and T. Nelson-Okay for Now is the Newbery of my heart. I wish it has received more love. I wonder with only two honor books if the committee was a bit split on their choices. My husband was just listening to an interview with Gantos. 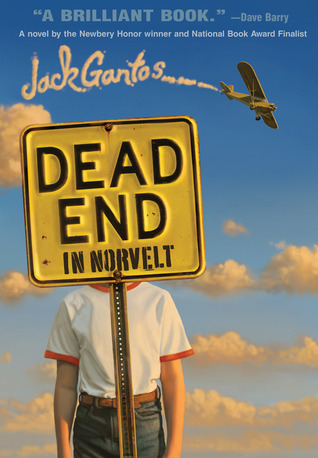 We have been reading Dead End in Norvelt to our 4th graders at David Harrison in the library. They LOVE it! It is a fun and quirky book with tons of humor. We finished it today and one class was so sad that it was over. I have not seen a whole group of kids sit for 35 mins in complete attention for many years. I highly recommend it. Our librarian changed some of the curse words and explained some of the slang to the kids and it went over fine. She changed Hell's Angels to Blank angels and talked about what kind of people they were. I would say 4th and up would handle this book well. Especially if read aloud in a classroom setting.